This compact and elegant ceiling fan has four reversible blades, which are made of wood and adorned with a walnut design on each side. Depending on the circumstances, the grey walnut or dark walnut design can be installed in the foreground. At the same time, the ceiling fan Central Park has an integrated milky glass light, which has a very modern design with an acrylic ring all around. A slide control can be used to set a summer or winter mode. This forward and reverse rotation ensures cool air in the summer and a circulation of the air in the winter which saves heating costs. A three-level wall switch with a light switch is included to control the ceiling fan Central Park. 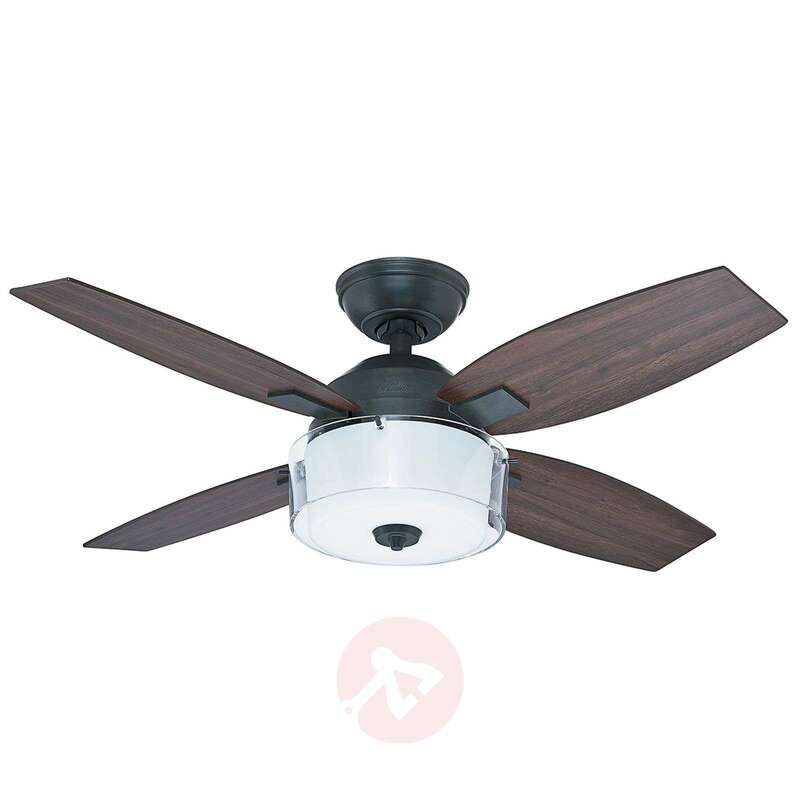 The ceiling fan can also be upgraded with a remote control (available as an accessory). 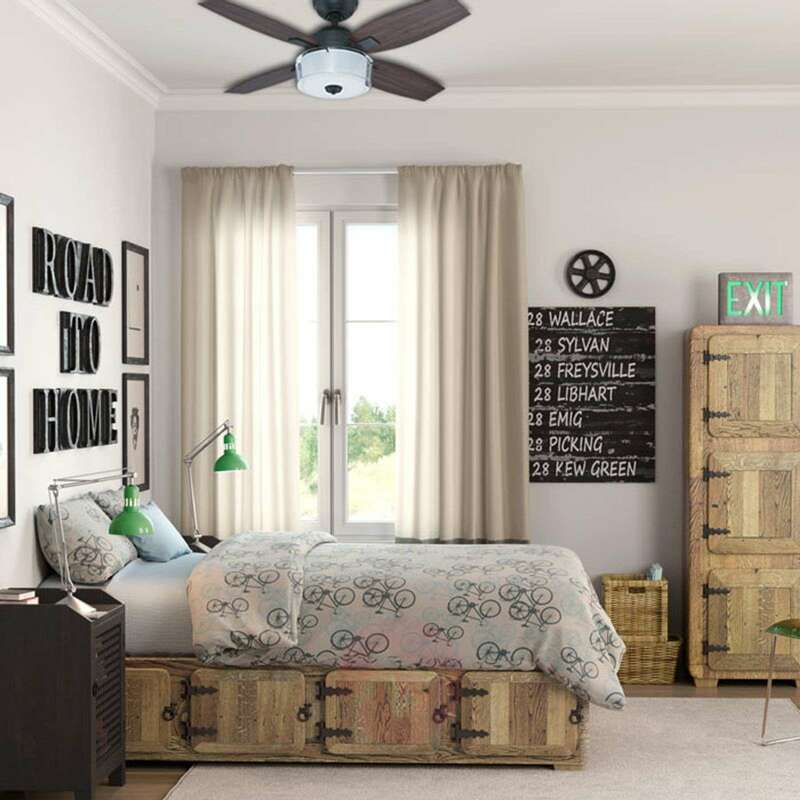 The ceiling fan Central Park is equipped with an energy-optimised motor. This means that a high air output is achieved with a relatively low energy consumption. At the same time, it runs very quietly. It is therefore also suitable for bedrooms.